Right wing and center who began his NHL career in 2008 for the New York Islanders. 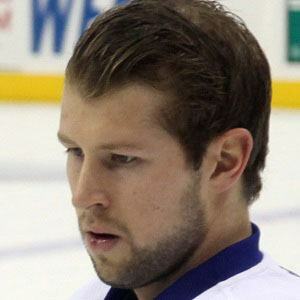 He entered the Ontario Minor Hockey Association in 2004, and then made his way up to the Ontario Hockey League in 2005; selected 9th overall by the Islanders in the 2008 NHL Draft. In 2012, while the NHL was in a lockout, he played for SC Bietigheim-Bissingen in Germany's 2nd Bundesliga. He was born and raised in Bowmanville, Ontario, Canada. On January 2, 2009, he scored his first NHL goal, against the Phoenix Coyotes' Ilya Bryzgalov.